Baby Barbie is experiencing severe abdominal pain. Only what she did! She even drank herbal tea and pills for the pain. All this does not help. The only answer is a visit to the doctor. Help this cute girl to collect things and to go to the hospital. There the girl will be examined by an experienced doctor. He will do tests and prescribe treatment. There are fears that need to do the surgery. If so, I suggest you to be a physician's assistant. You will greatly aid in the treatment of this baby. 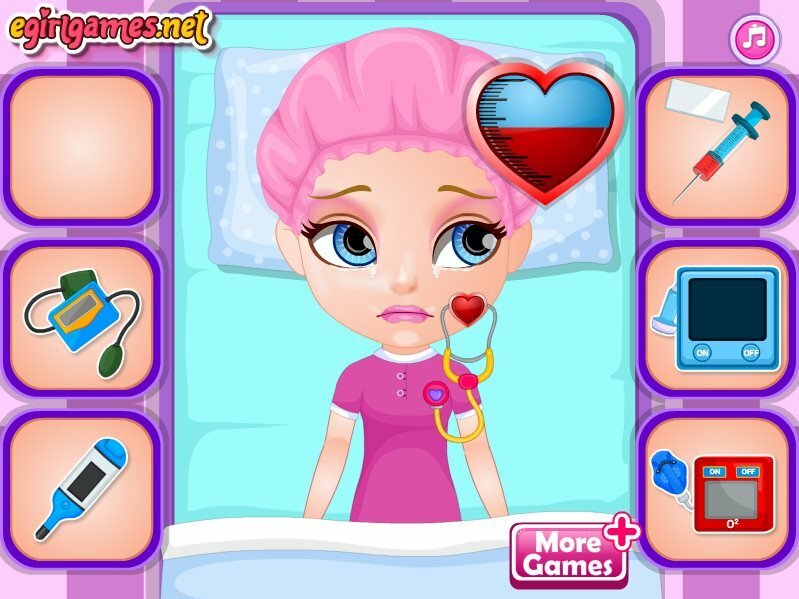 How to play: in this game you will help baby Barbie to the doctor and do an operation on her stomach. Find bad bacteria and remove them from there. Use the mouse and hints in the game. Played: 33606. Added: 25-10-2015, 14:05. Baby Barbie Stomach Surgery game. Take Barbie to the hospital. The girl near the doctor's office. Learn the diagnosis for the baby Barbie.